Project Managert acts as a bridge between the business and technical team. We are looking for HTML Developer for a leading Digital Media Agency in Malad. Mail your application to racheeta@netsyscon.net or call on 09324460598. Conversion of Visual Design into W3C standard compliant XHTML or HTML5 and CSS markup. Subject Matter Expertise in semantic markups, W3C compliance and web accessibility. Incorporate Performance tuning and Site optimization techniques into the App/ Websites. Understanding of cross-platform/cross-browser compatibility and other web constraints. Knowledge of Progressive Enhancements and Degraded browser support. Generate low-high fidelity Wireframes, Rapid Prototyping, Style guides and HTML Prototyping. Comprehensive understanding of UI design principles and usability best practices. 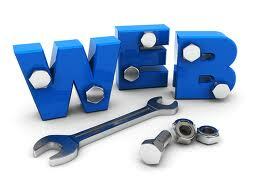 Web programming experience, including PHP, ASP or JSP along with HTML/XHTML. We are looking for a Web Designer for our client based in Mahim. Our client has experience of providing Software Solutions over a decade to multiple industries like Banking & Finance, Travel & Tourism, Education, Health care, Media & Entertainment, E- Commerce etc. Our client is servicing fortune 500 companies across India. Mail your Resume to consultant01@netsyscon.net to apply or for any further details you can contact Racheeta on 9324460598/022 65931551. Ability to Hand Code with HTML.Strong knowledge HTML, CSS, Photoshop, Flash, Coral Draw. Our Client : Is a U.S based company. They’ve been in this business for over 4 years now and are profitable with brand names clients and a team of top notch marketers based out of the US who will serve as trainers and mentors for the first group of people who will be hired. 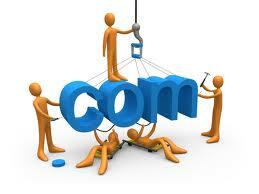 6) Will be handling multiple websites including company’s own. Kindly forward your updated resume only in word format with details about your current CTC, expected CTC & notice period at the earliest.